“Don’t you know who I am” never comes across well and we always want to be more excited about the ‘now’ and the ‘next’, not the ‘then’. 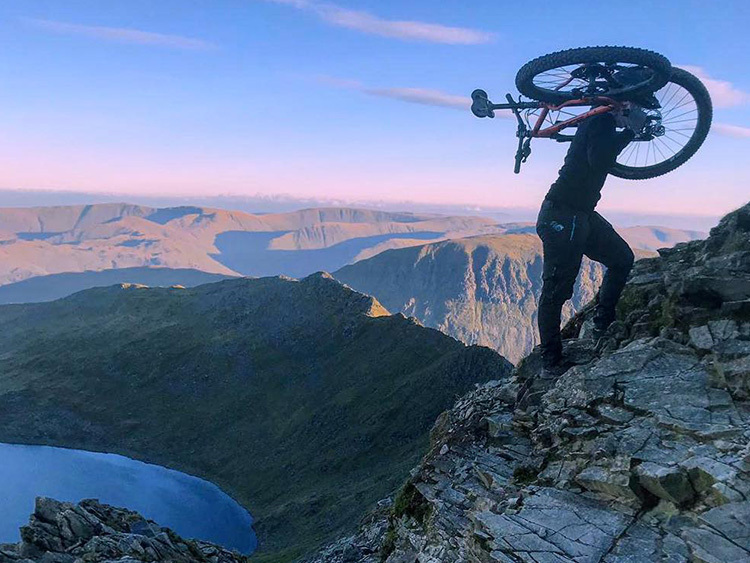 In a world of kickstarter upstarts and ‘crack open a box from China and stick your name on ‘brands’ we’re not shy about the tracks we’ve left in the history of mountain biking. Back in the day the American mags might have downsized God's own country with their "Now the town of Yorkshire is famous for more than just it's Yorkshire puddings" headline but it proves our original RC100 bike put UK design on the global map in 1987. With it's unique custom drawn externally machined square section aluminium frame, it was truly revolutionary in a bike world dominated by small diameter steel road bike tubing. It's dedicated Bullseye fixed arm cranks, direct fit Magura hydraulic brakes, integrated stem steerer and the first threadless headset also introduced innovations that are still fresh over 25 years later. 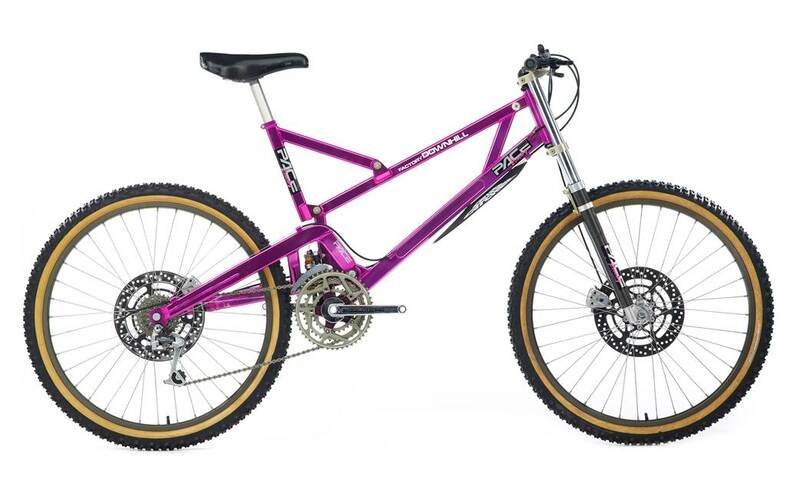 Within a few years we’d added carbon fibre legged, grease ported suspension forks and ground breaking triple crown DH specific, disc brake equipped format. Our asymmetric chain stay, bolt through axle suspension frames were years ahead of the curve and our patented hollow single piece carbon fibre fork sliders have never been matched since. 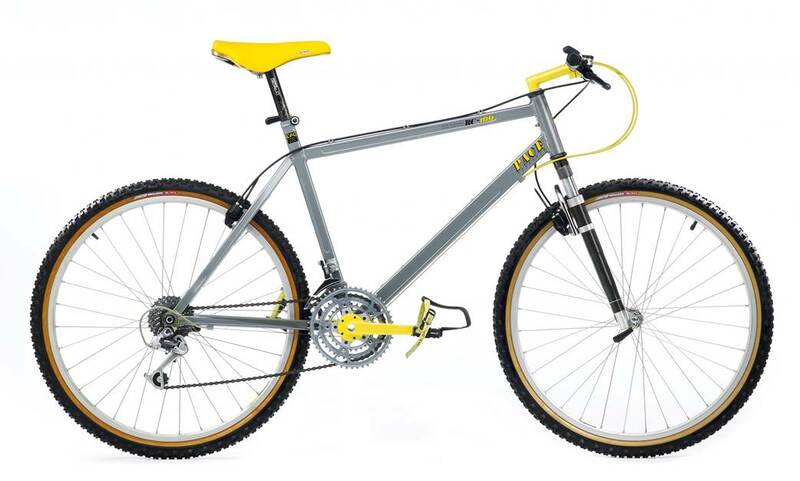 We pioneered long top tube, short stem geometry from the start, culminating in the extra long frame, direct mounted stem of the RC500 DH bike showing the way to radical riding control decades before modern equivalents. Our handlebar collaboration with motorbike legends Renthal even had “Forward Control” etched onto them. Our constant push for improvement added transmission components, stems and even lubes and our own uniquely practical and performance focused clothing line to the Pace catalogue. Biking is more than just about bits though and over the years we’ve become increasingly involved in building places - not just things - to ride. 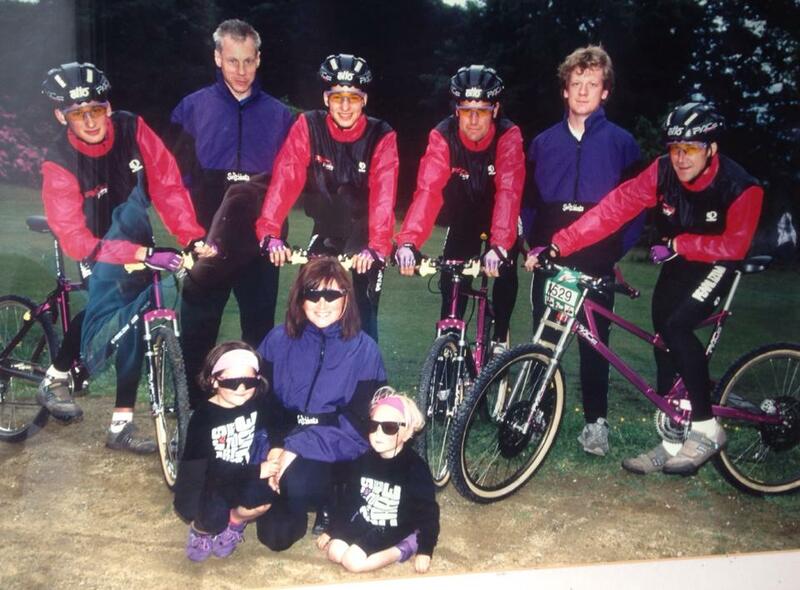 Having helped organise some of the first mountain bike races in Dalby Forest we’ve since spent two decades help make the National Park a cycling destination in partnership with Forestry Commission and the North York Moors National Parks. Ribbons of natural sheep track and ancient drove roads are now integrated into a riding landscape that includes hours and hours of all weather purpose built trails, a globally renowned World Cup XC course skills areas and a long distance Moor to Sea epic. With the riding sorted we worked on the pre and post part of biking life, opening first our Dalby Bike Barn Trail Centre store just across from our HQ. 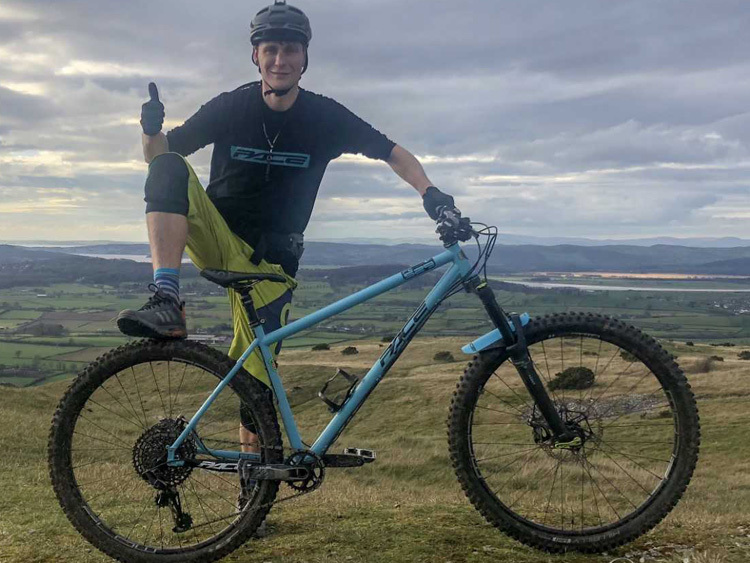 We then set up Sutton Bank Bikes working with the National Parks to create a network of Wildride man made and natural trails to encourage free range exploring whatever your skill and fitness level. Managing Director, founder and designer since the very start. 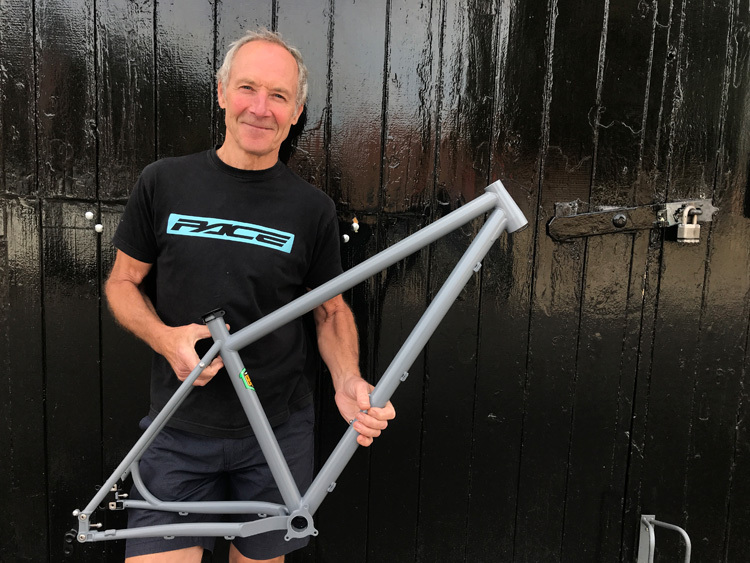 Adrian started designing mountain bikes over 30 years ago with his friend Duncan welding them in a basement in Bradford. 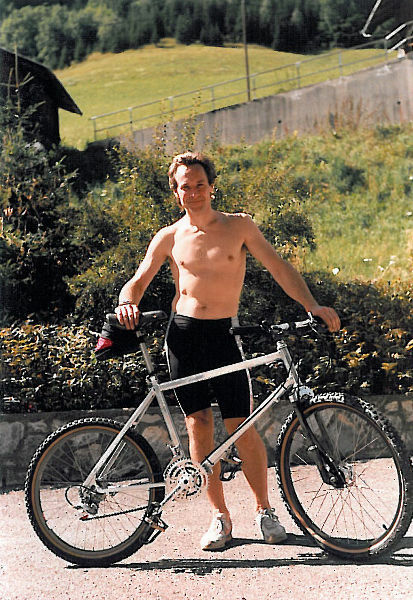 He still to this day rides his bike just as hard, and is still the man behind all of our bike models and designs, making sure we don't loose sight of what we set out to do all those 30 years ago. Adrian's wife of 33 ish years and second in command is Cathy, also known to us as The Yorkshire terrier. Cathy plays a vital part in Pace, and as the saying goes, behind every strong man is a strong Woman. Cathy keeps us in line, making sure we are getting it done, be that making her the strongest cup of Yorkshire Tea you have seen, or getting those bike designs finished. 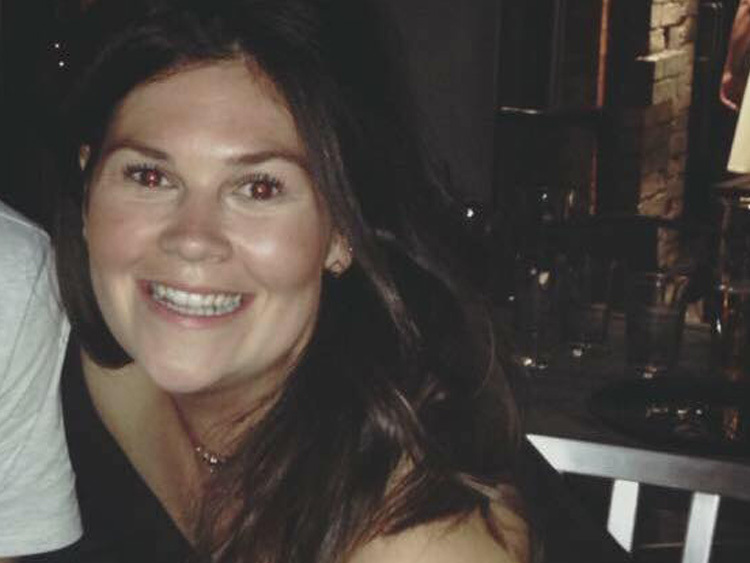 Sophie is the youngest daughter of Cathy & Adrian's and the Brand Manager for Pace. She is your go-to girl for all things Pace, the youngest of the pack but by far not the quietest. 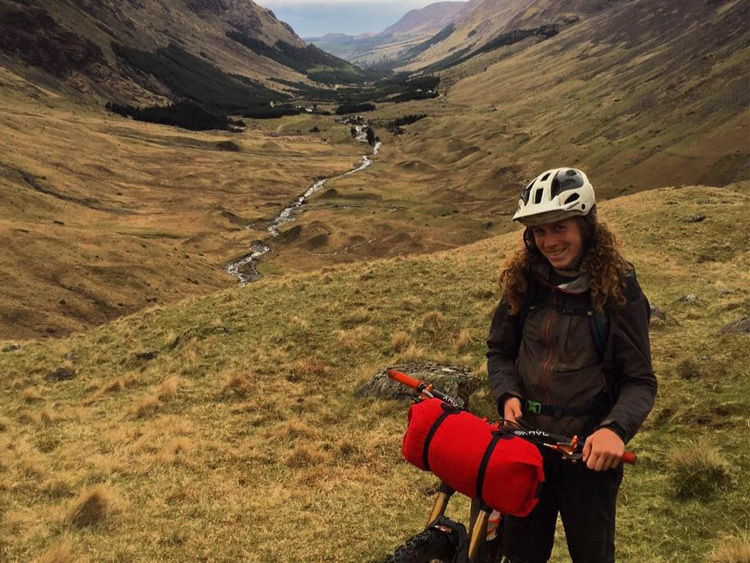 Sophie has worked in the bike industry for over 10 years and when she is not driving Pace forward working closely alongside Adrian, you will find her carrying her bike up some big mountain in the Lakes. Head of the Tech. 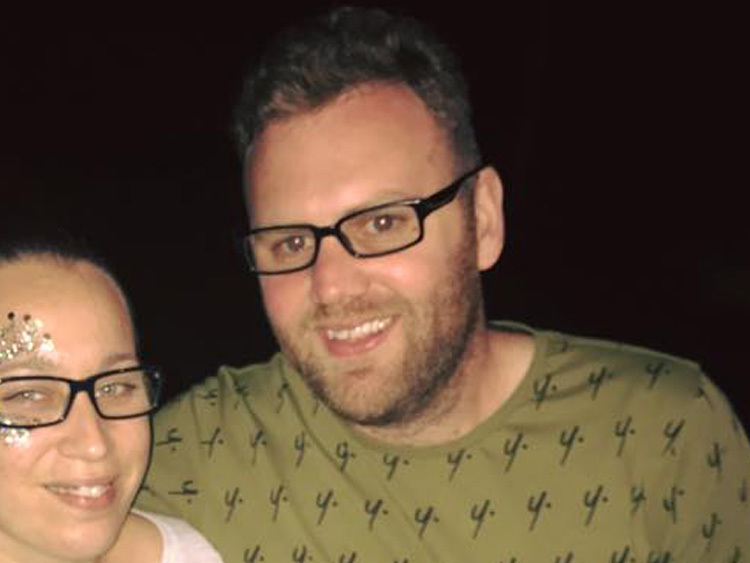 Josh came to Pace for Work experience 19 years ago when we had the factory and never left. He has a wealth of knowledge that is hard to match about all things Pace be it old and new and knows an RC39 better than you know yourself. David first came to us 7 years ago and worked in one of our retail stores Dalby Bike Barn. Showing us his technical capabilities David now works alongside Josh helping him with all things suspension and helping assemble custom build bikes. 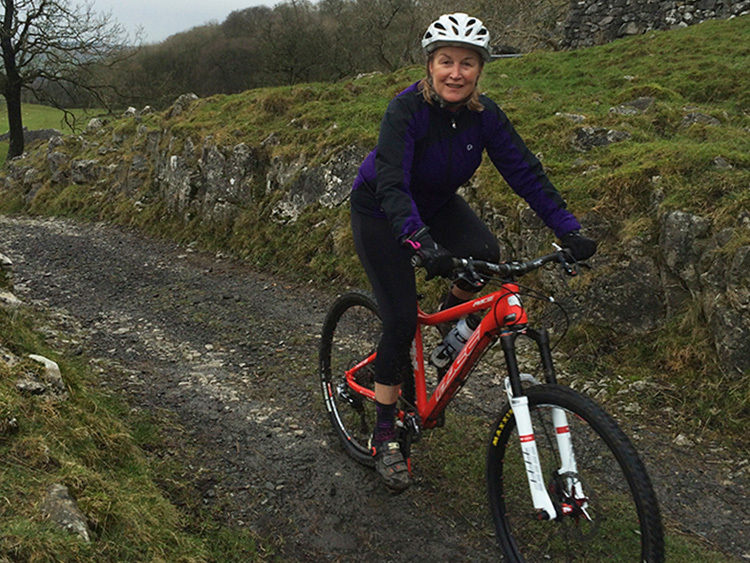 When he is not riding his new RC529 he is a site Engineer at Kentmere in the Lakes. 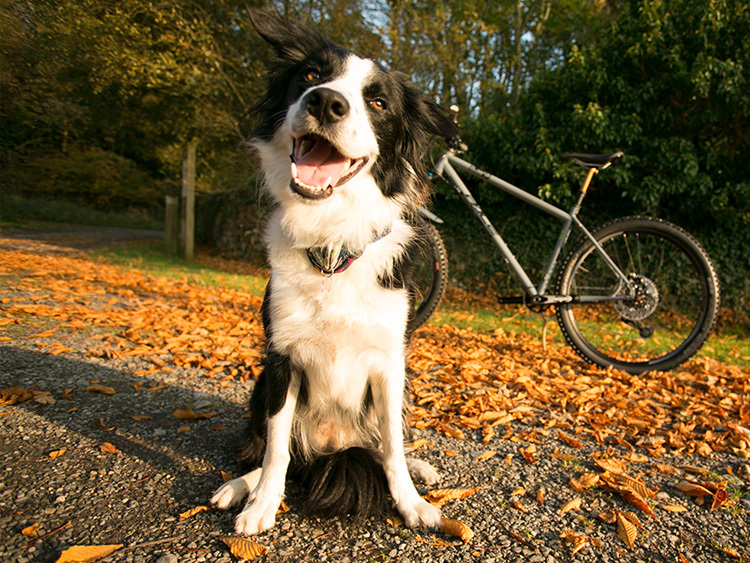 If he isn't on his bike riding he likes to up in fells running or walking with his dog, Louie. 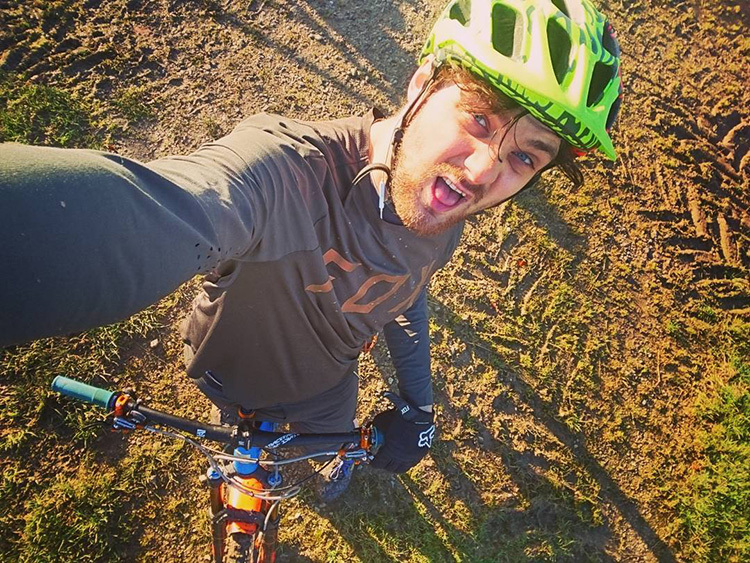 Ben is based in Darley studying to become an Outdoor Instructor. When he isnt learning he will be hanging off some big rock or hiking up a mountain with his 29er on his back. Or eating. Maybe both. If you follow us on social media you will have seen plenty of this furr trail dog. Daisy is Pace's Mascot and when she isn't sleeping on her back she's running under our front wheel.